The weekend brought the Aycliffe Juniors football teams back into action and it turned out to be an exciting weekend of matches. The Under 6’s played against Shildon in a return fixture of their friendly played game a few weeks ago. The game was enjoyed by all, Aycliffe secured a good win with plenty of goals. The Under 7’s played at home against Wynyard Village. Their great teamwork and pressure on the opposition was rewarded in the second half when Evan scored twice in two minutes. The game finished 2-1, all the Aycliffe team were superb. The Under 8’s made the short trip to face Bishop Auckland Aces. Man of the match Dylan scored an early goal but Bishop went on to win this one 3-1. The Under 9’s played away at Billingham United with a depleted squad due to holidays and illness. A great team performance sealed a 6-0 win with Joe scoring a hatrick, Ashton getting two goals and Harry adding one. Jayden was key to the attacking play and was named as the man of the match. 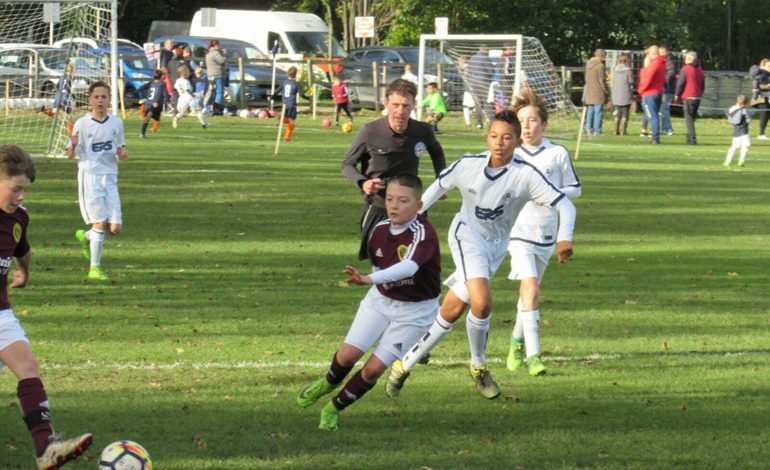 The Under 10’s ‘Black’ were at home against Leven AFC ‘White’. Man of the match Jake scored the games first two goals to put Aycliffe 2-0 up. Leven grew in to the game and got one back to make the final score 2-1. The Under 11’s faced the unbeaten Hemlington United and they could not avoid defeat. Aycliffe were 4-0 down before Charlie scored to make it 4-1 at half time. Charlie added his second and Zak scored as the game ended 7-3. Cody was the man of the match. The Under 12’s Russell Foster League team hosted lower league Humbledon Blues in the cup and won 9-1. There were hatricks each for man of the match Noah and Tom. Alex, Charlie and Ted also added a goal a piece in a good win. The Under 12’s TJFA league team took their unbeaten record to last season’s champions, Marton White. This was a great game between two of the best teams in the area at this age group. Aycliffe remain unbeaten as Will’s late equaliser made the final score 1-1. The Under 16’s played away at Yarm Juniors and went behind early in the game. Stoker equalised with a good headed finish but Yarm opened up a 5-1 lead before Andrew’s goal made the final score 5-2. The Under 23’s played away against Sunderland University and it proved to be a rewarding trip. Christian scored four goals, man of the match Matty got two. Patrick and Jack also scored a goal each to complete the scoring in an 8-1 win.